South Korea has a long and interesting history, and were there is history there are also antiques and souvenirs. On a recent trip to the historic area of insadong in Seoul we came across a street vender selling a range of different items, from old stamps, books, banknotes to old coins. Some of the coins where more recent Korean won from the 1950s, some American $1 dollar coins and coins from other nations. 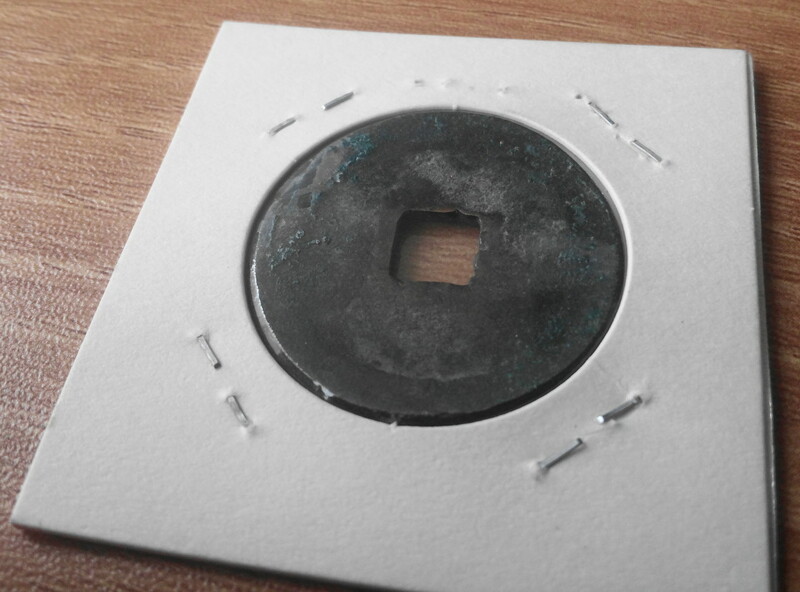 However the coins that caught our eyes where the very old Korean coins. They ranged in age, design and condition but were all very interesting. It’s not everyday you come across a 935+ year old coin. The price might surprise you, it was only ₩4000 ($4). The type of price that makes you question the authenticity for the coin, but it’s worth buying if only as a souvenir. 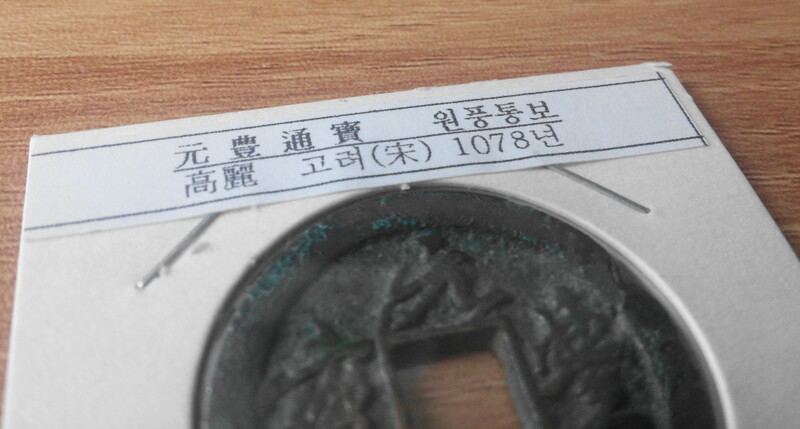 The coin is dated 1078 and therefore for the very early days of Korea during the Goryeo Dynasty which lasted from 918 to 1392. 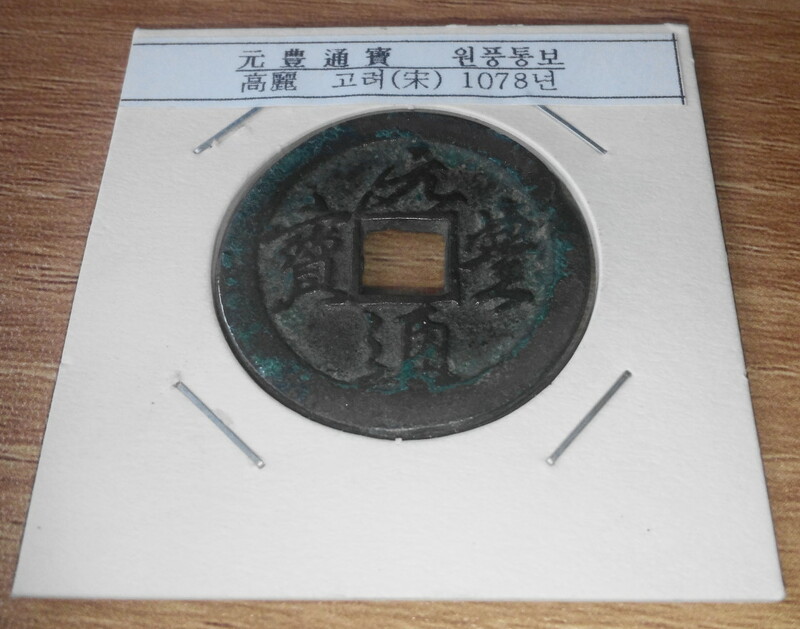 The king at the time of this coin was King Munjong. The front has writing in Chinese script that we cannot read and the back it blank. 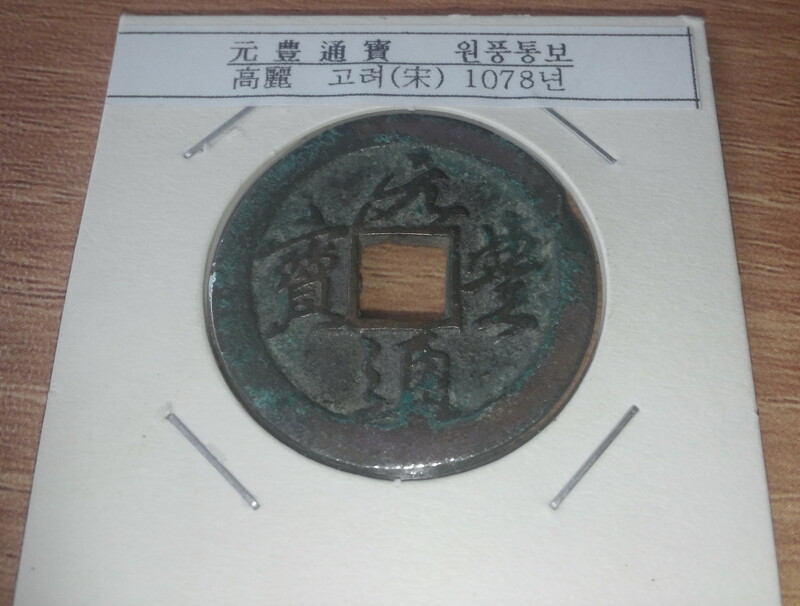 As always if you have any questions about Antique Korean Coins, Korean Currency or anything else related please feel free to let us know. Either below, by Email or via Twitter or Facebook.